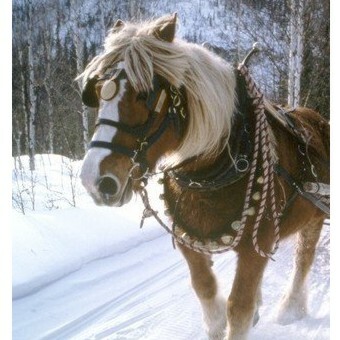 This is a full harness set of sleighbells for your horse and sleigh or to use as a decorative in your home. 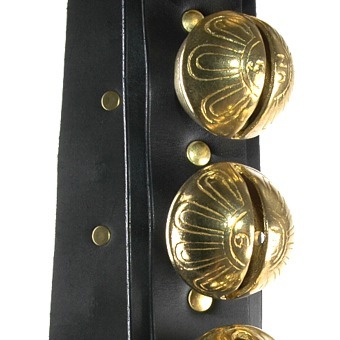 This set has 29 solid brass bells that start with bell #1 (1.1/4" dia. )graduating to bell #15 (2.7/8" dia) and back to a #1 bell. 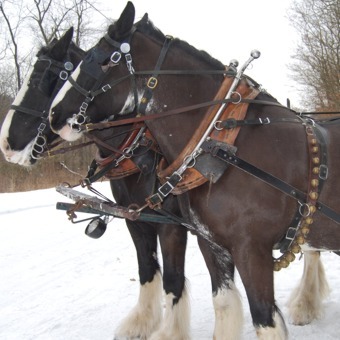 The bells are mounted on thick harness leather. The entire length of bells is backed with another thick length of leather to protect your horse or walls from the bell mounting posts. 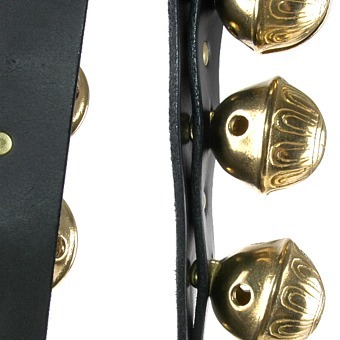 Solid brass buckle and rivets are used in the construction of all our sleigh bell sets.